This Mental Health Awareness Training for Managers is designed to make management teams aware of mental health issues and illnesses inside and outside the workplace. It provides wellbeing-management techniques and aims to reduce the stigma surrounding mental health at work. Poor mental health is a very serious issue at work. It can have a huge impact on productivity and it can create a negative working environment. Management teams have a duty to recognise and acknowledge poor mental health and they must know how to deal with a variety of situations relating to the topic. This Mental Health Awareness Training for Managers raises awareness of mental health and it explains different working practices that management can use to offer support to colleagues. It also provides simple and effective tools that can be used on a daily basis for management to enhance both their own and their employee's mental health. It's not only a moral responsibility to take care of one another at work... it makes financial sense too. For every £1 that an organisation invests in improving the mental health of their staff, they see an average of a £4.20 return! The Mental Health Awareness Training for Managers course is broken down into 5 sections. This section provides a complete overview of mental health and raises awareness about removing stigma, the importance of good mental health and the common triggers of poor mental health. It also provides an insight into what can influence negative thought patterns, which are proven to impact productivity levels. How do you go about managing poor mental health? Particularly things like loneliness, stress, depression or anxiety? We give you guidance and practical tips on how to do so, and we look at changes in staff behaviour and what to watch out for. Section 2 also has additional resources that provide handy overviews of other mental illnesses such as bipolar disorder and personality disorders. Here is your very own Wellbeing Toolkit that can be used to manage day-to-day mental health! It offers a variety of mini exercises, insights, practical strategies and some food for thought - so you can use whatever suits you! This section looks deeper into how poor mental health can impact businesses and the importance of providing good working conditions. 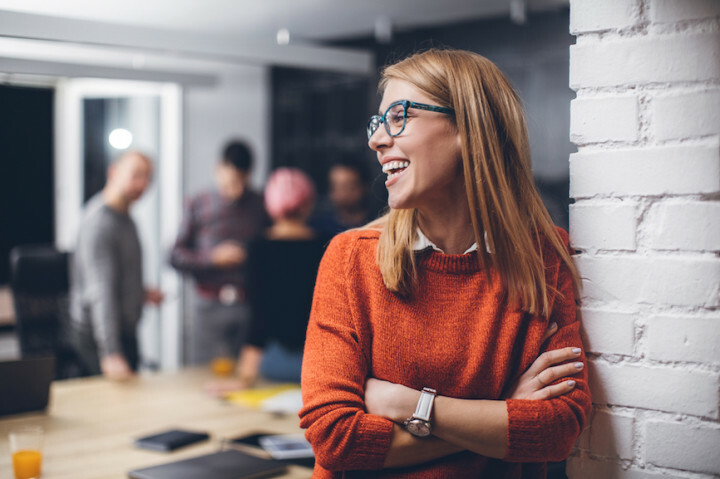 We look at the importance of having a 'mental health at work plan', making workplace adjustments when needed and we also show you how to effectively monitor staff wellbeing at regular intervals. In this final section, we've created a 'hub' for external mental health management. It offers great starting points for improving wellbeing, information on external books, websites, apps and helplines. This Mental Health Awareness for Management Training course concludes with a 20 question multiple choice test with a printable certificate. In addition, brief in-course questionnaires guide the user through the sections of the training and are designed to reinforce learning and ensure maximum user engagement throughout. Your Mental Health Awareness for Management Certificate includes your name, company name (if applicable), name of course taken, pass percentage, date of completion, expiry date and stamps of approval or accreditations by recognised authorities. Based on 26 real user reviews. Good general high level training providing managers with the starting tools, promoting managers to think of their own and teams mental health. As well as providing information on the signs to look out for, it also provides ideas on how small and inexpensive actions can help prevent or help you deal with situations, thoughts or activities. Improving your overall well-being. Thank you! Give excellent information on how to manage colleagues well being and mental health in the work place. I thought this was a really good, accessible course for people of all levels within a business. It makes sense of mental health issues and works to break down stigma. I personally think that CPD is not quite as successful for a long term recovery from depression, (though undeniably fantastic for anxiety and other issues) and studies have shown some talking therapies such as Psychotherapy are better for helping people learn the route cause of their mental health issues, so would've liked to see mention of it. Other than that, its fantastic and for people that have not had much experience with Mental Health as a topic, is a really thorough and positive training piece. We will be implementing this training within our Management Team. Training was easy to follow. Training was easy to follow and you can complete it at your own pace. There is plenty of additional resource available for further learning. A very useful and positive course. This course has given me some useful tips to start practising more positive thought processes, taking the time to breath properly and encourage me to drink more water and look after myself. Read our full reviews for Mental Health Awareness Training for Managers.